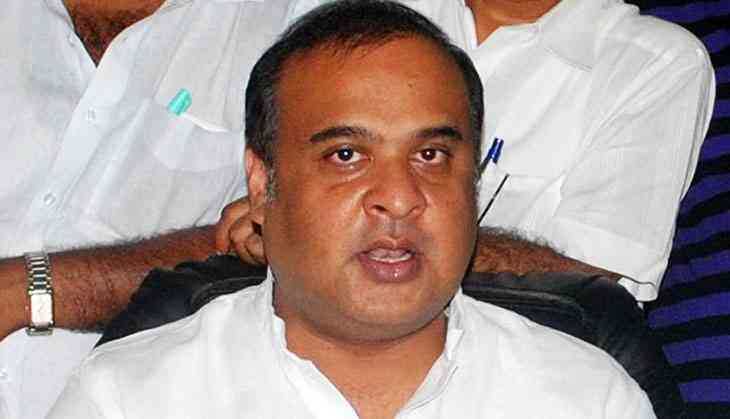 Putting to rest all speculation, BJP president Amit Shah has said senior party leader and Assam minister Himanta Biswa Sarma will not be given a ticket to contest the forthcoming Lok Sabha elections. Despite the state unit recommending his name for the Lok Sabha elections, Sarma has been asked to concentrate on developing the state and strengthening the party's base in the North East, Shah said in a series of tweets in Hindi on Thursday night. Sarma too resorted to a series of tweets, saying that he has accepted the decision "humbly" and the region will not disappoint Shah in making Narendra Modi the Prime Minister again. "I hope the Assam BJP and the workers of the entire North East will accept this decision. I fully believe it will take Assam and the North East towards the path of development," the BJP president said. The central BJP wants Sarma to continue as a minister in Assam and discharge his duties as the Chairman of the North East Democratic Alliance (NEDA), the regional platform of the NDA, Shah tweeted. Sarma is needed for coordination between the region and the central party, and the government in New Delhi, Shah said. "The Assam election committee and the party workers had sent Sarma's name unanimously for the Lok Sabha polls. The central BJP has wished that he should strengthen the party in Assam and North East while remaining as a minister in Assam, and convenor of the NEDA," Shah said. Expressing gratefulness for the "faith" bestowed upon him by the BJP national president, Sarma tweeted, "I humbly accept your decision." Earlier, Sarma on numerous occasions had said that he would not contest the Assembly elections in the state in 2021, indicating that he was looking for a national role. BJP sources said he was named as the only candidate for the prestigious Tezpur constituency in Assam while preparing the state unit's panel of names for the elections. This, however, did not go down well with the BJP's central election committee, comprising Modi and Shah, as the party's sitting Tezpur MP Ram Prasad Sarmah had resigned from primary membership after knowing that his name was omitted from the party's panel of probable candidate for the seat, the sources said. The central leadership has not accepted Sarmah's resignation yet and asked the state unit to reconsider the panel of candidates, which did not include the parliamentarian from Tezpur constituency. The BJP on Thursday evening published the list of 184 candidates across India, including eight from Assam but left Tezpur and Nagaon for the moment.